The Paris Flea Market, formally known as Les Puces de Saint-Ouen, but also often referred to as Marché aux Puces de Clignancourt, or simply Les Puces (The Fleas), is the largest antiques and second-hand market in the world and receives more visitors each year than the Eiffel Tower, welcoming some 100,000 – 200,000 people each weekend! Located at the northern edge of Paris at the Porte de Clignancourt, the Paris Flea Market consist of a vast network of warehouses and stands sprawling across 15 districts and 7 miles of alleyways. With over 2,000 vendors shops brimming with furniture, decorative objects, art, bric-a-brac and beyond, it is impossible to see it all in one day, one weekend or possibly even in a lifetime! So, what is the best way to shop the Paris Flea Market? How about with a Les Puces expert?! 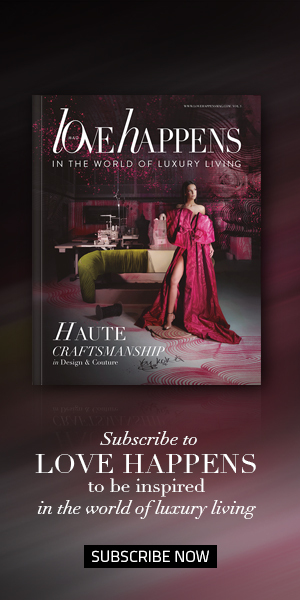 Meet The Antiques Diva & Co., the only official Exclusive Guide of the Paris Flea Markets Paul Bert Serpette. An honor bestowed upon this wonderful company for their long-term relationships and close contacts with Les Puces. So, if you are looking to navigate the Paris Flea Market like a pro, find exactly what you are looking for and bargain for the best possible price like a local, then look no further! The Antiques Diva & Co.
~ The Antiques Diva & Co. While planning my upcoming visit to the Paris Flea Market I got on the phone with founder & CEO Toma Clark Haines and she told me a great story which I believe perfectly reflects exactly why visiting the Paris Flea Market with a guide is the way to go! A few years ago, Brownlee Currey, president of Currey & Company, was scheduled for a tour with his team while visiting Paris. A very frequent visitor to Les Puces, he was adamant he did not need a guide! 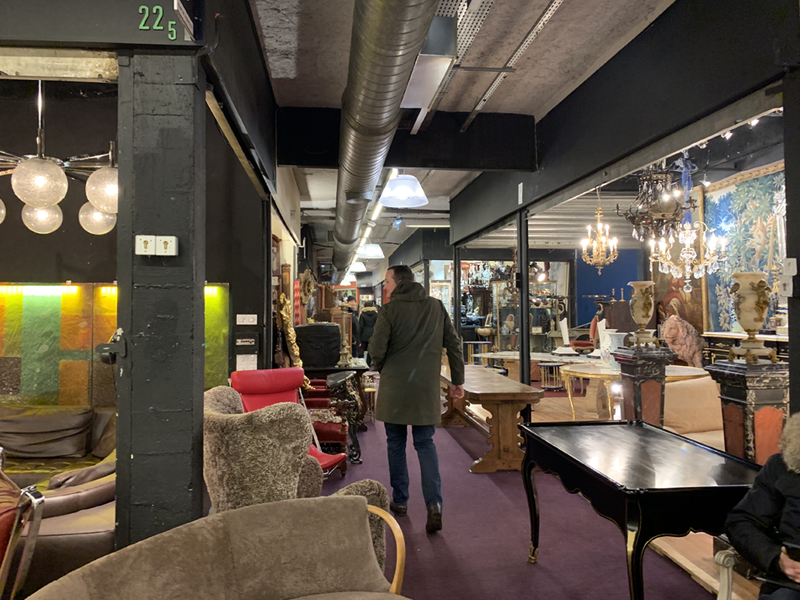 Knowing he was a bit annoyed, The Antiques Diva team knew they needed to pull out all the stops so they began their tour at a well-hidden gem deep in the Paris Flea Market known as L’Entrepot. He had never been! Case in point ;)! 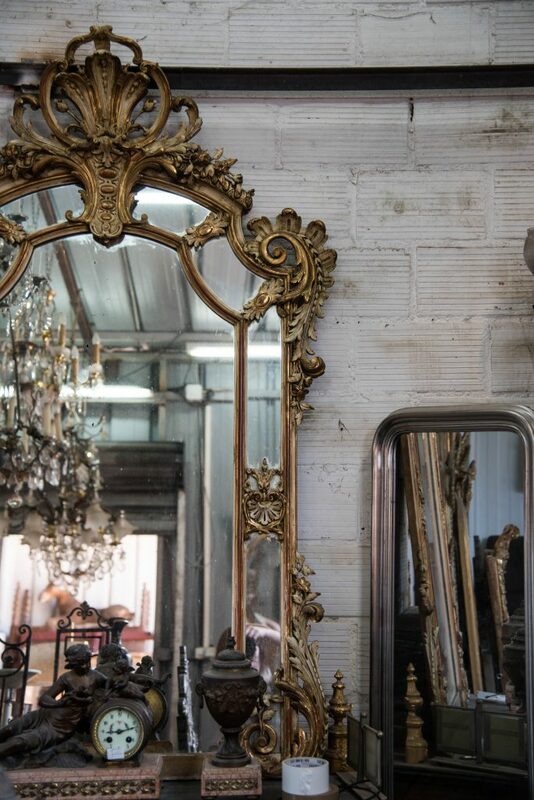 Before visiting this massive wonderland of antique delights here is a bit about its history. The Paris Flea Market is the very first flea market in the world, and it is where the term flea market first originated. At the end of the 1800s there was no garbage system in place and the city was laden with trash, but one’s trash was another’s treasure. Les chiffonniers, rag-and-bone men, picked through the endless trash and set up temporary stalls to sell their finds on the street. Then in 1884 Eugène Poubelle, a French lawyer and diplomat, and the Préfet of the Seine, a powerful position with responsibilities similar to a mayor, had enough of the trash. Continuing the massive urban renewal program of previous well-known préfet Georges-Eugène Haussmann, M. Poubelle decreed that everyone must put their trash out in bins for proper disposal. Thus, introducing the concept of trash cans, an innovation which led to the French name for such, la poubelle. The use of these trash boxes met resistance. Owners of buildings resented the cost of providing and supervising the bins, and the chiffonniers saw it as a threat to their very way of living. As M. Poubelle continued to clean the city by the end of the 19th century the chiffonniers were driven to the outskirts of the town. They then began to gather at the Porte de Clignancourt, Porte de Vanves and Montreuil, beyond the city gates where they did not need to pay city taxes. They would set up makeshift shanty towns selling the wears they found the night before. The largest group, around 100-200 gathered at the Porte de Clignancourt. 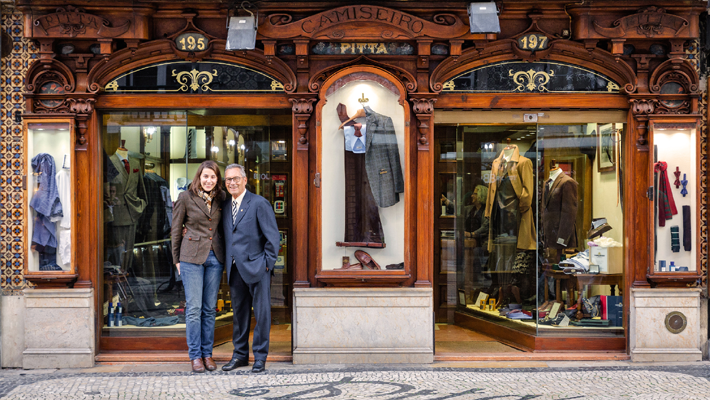 With their eye for style and the spectacle of the massive outdoor shopping site the place became a novelty attracting men and women of wealth. “Fox hunting”, as they called it, at the Porte de Clignancourt became a Sunday afternoon hobby. A tradition which continues in French lifestyle today. 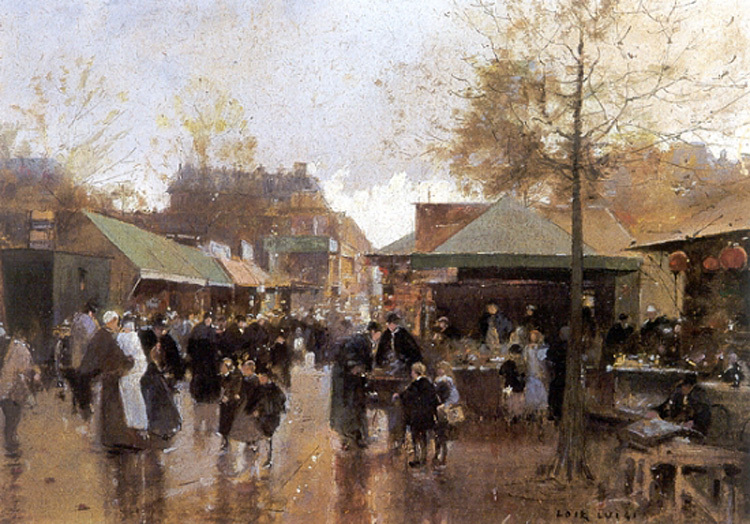 “Le marché aux puces, Porte de Clignancourt” by French painter and engraver Luigi Loir (1845-1916). Oil on canvas. Source: Wikimedia Commons. Visitors to these shanty towns would tell their friends and family, “Je vais au puces” (“I am going to the fleas”) thanks to the flea infestations often found in purchases—and thus the term flea market was born. 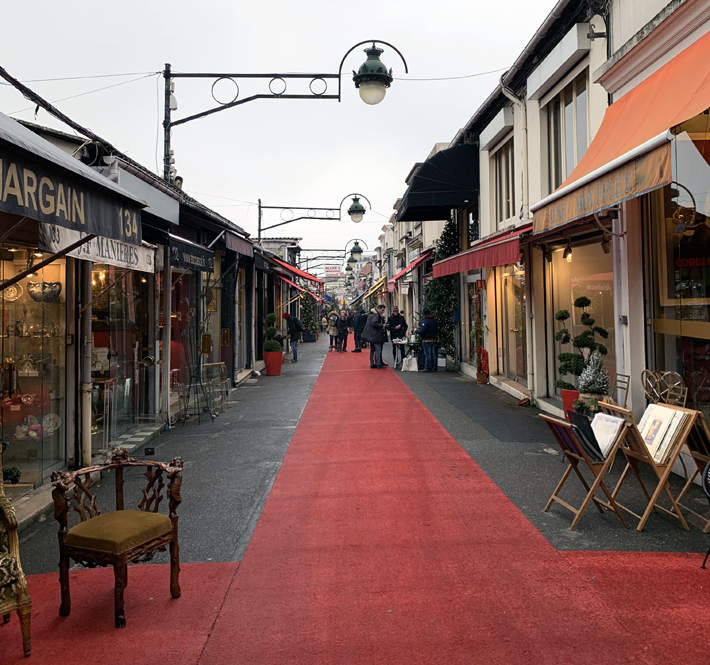 In 1885, the town of Saint Ouen set out to clean up the area, paving the streets, designating formal market areas, and marking the official starting year of Les Puces. 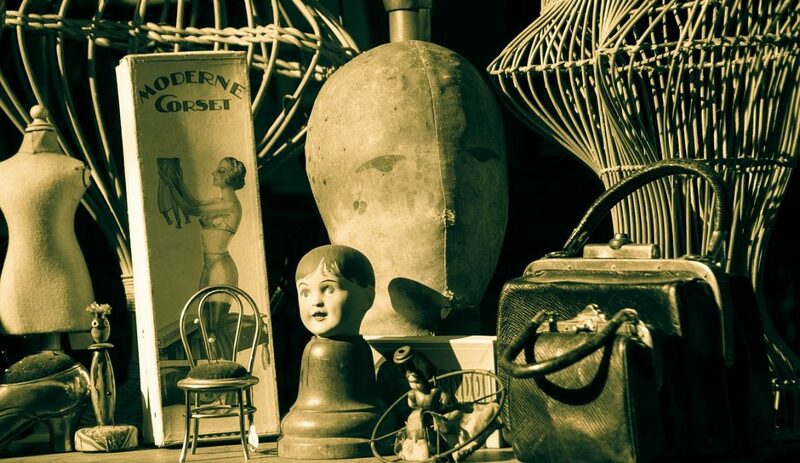 Once of the beautiful things about a flea market is that there is always something new to be discovered! In the past few years Les Puces has been massively changing, primarily due to very high rents. 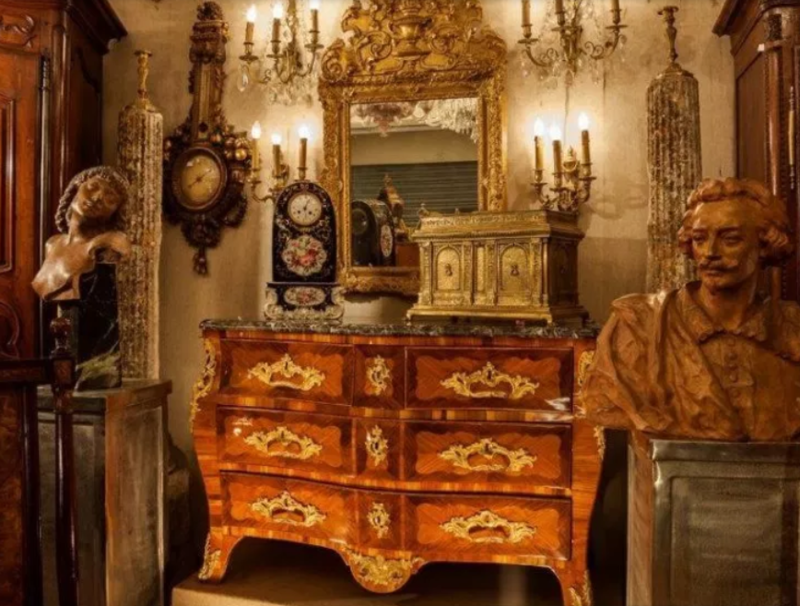 Some people think this is a bad thing, however it is bringing in artisans and handmade products to the district, “the antiques of the future,” describes Toma of The Antiques Diva. This shift is welcoming in another demographic and while we all fear change, change is often for the best. 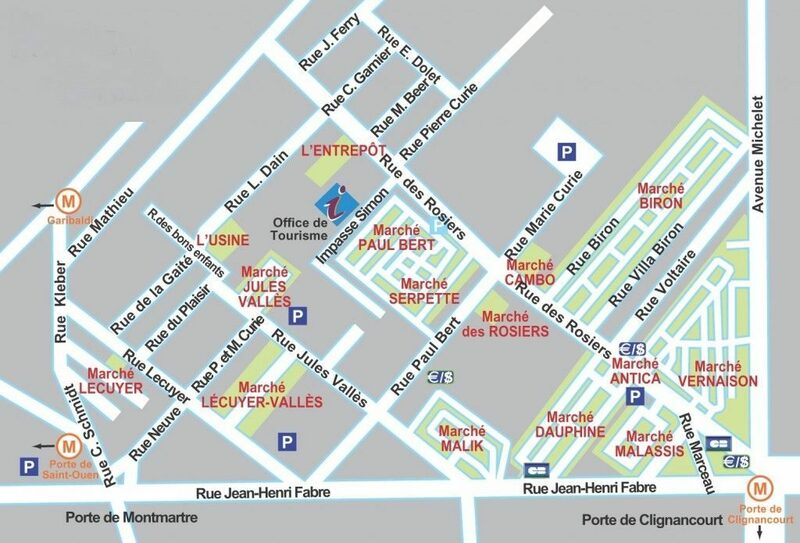 Down the main street of Les Puces, Rue des Rosiers, was Marché Vernaison, the first formal market in the district. A permanent collective, instead of the stalls which went up and down each day and night. Today Marché Vernaison is one of the less visited markets, however, it is known for its “perfect packables” (small finds you can easily take home!). 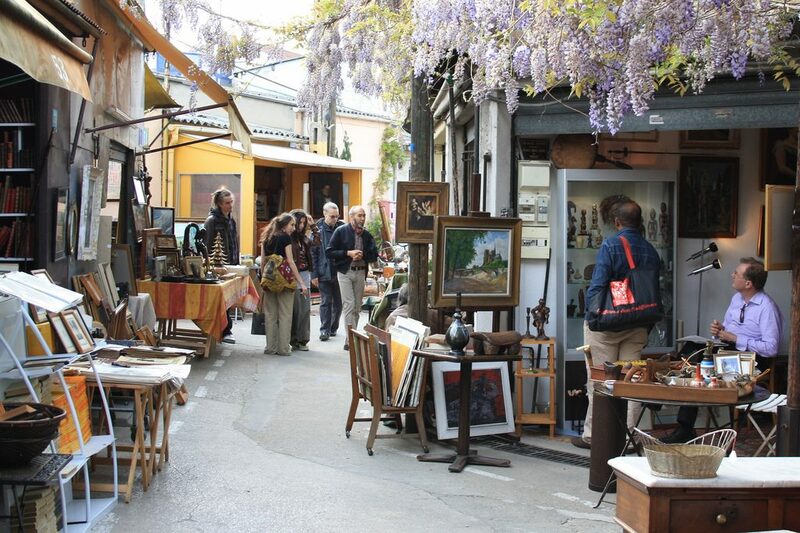 This is the Parisian flea market you may picture in your mind’s eye. 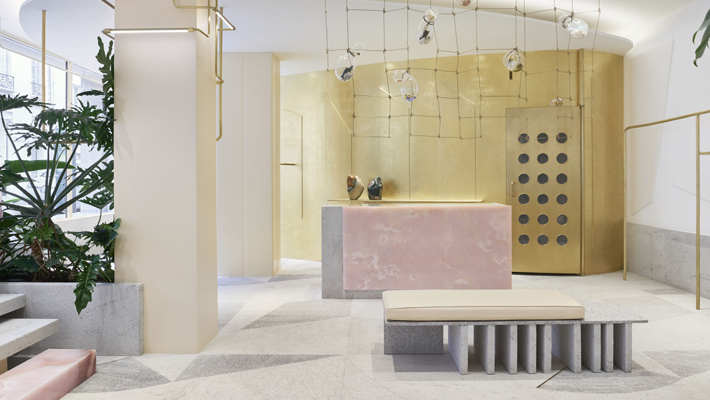 A flagship in Les Puces de Saint-Ouen and a favorite stop for collectors, connoisseurs, and many famous interior designers! Opened in 1991, Marché Dauphine is the largest covered market of Saint Ouen. Look for the giant UFO outside! 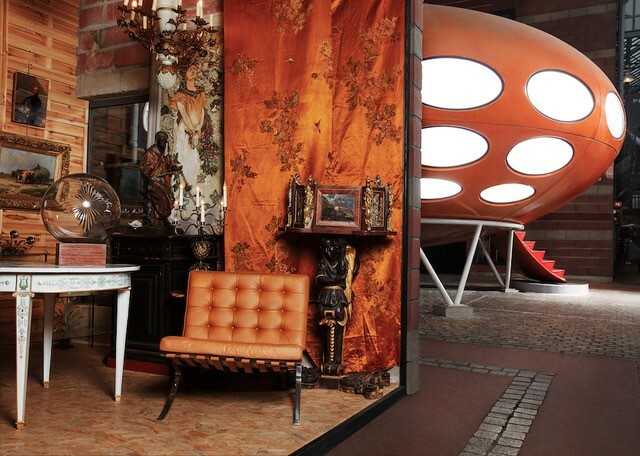 Under a glass roof and among over 150 dealers you can find an eclectic selection of furniture, art, and fashion: classical antiquities, 20th-century furniture, watches, jewelry, contemporary art, music collectors, booksellers, vintage fashion, and more. The Marché Dauphine also hosts an international transport company, a “bistrot gourmand” and a large exhibition hall. 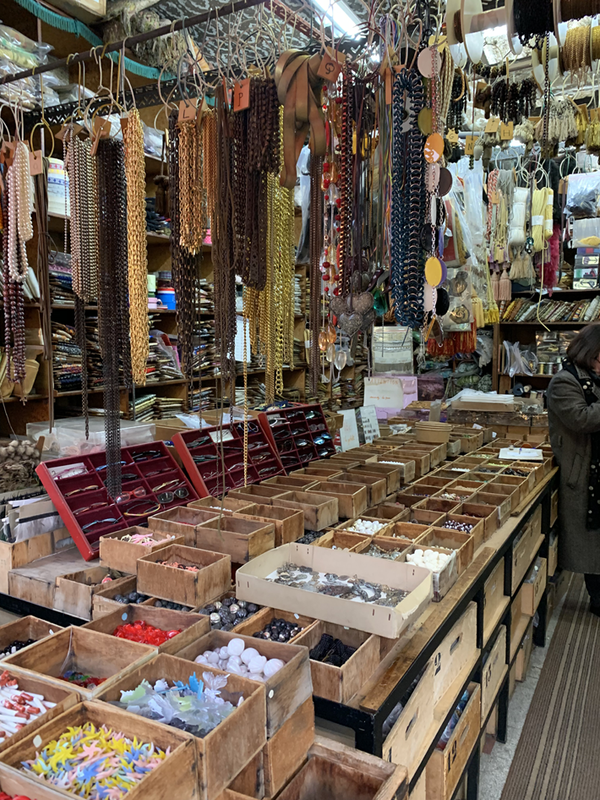 Formed in 1925 and consisting of two long rows of stalls, Marché du Biron is known as one of the more expensive markets in the Paris Flea Market. “Go big or go home.” The bigger the item you are looking at purchasing the more likely you are to get a good deal. Large items don’t fit well in French homes! Bring cash – only about 50% of the vendors take credit cards. Major 1980s trend happening – spot the brightly colored furniture! Mid-century is still popular, but many people are tired of it – even the dealers are board – so many are carrying more Art Deco pieces along with it. Asian chic – there are more Asian dealers then ever before.